CEO 2018 is upon us, and there are a ton of games being played at the event. With over 3000 people attending, there's barely any point in listing all the notable players you might see, but if you want a closer look at who's showing up, make sure to check our tournament preview from yesterday. This is a Capcom Pro Tour Premier event for Street Fighter 5: Arcade Edition at the Capcom Pro Tour, a Master event for the Dragon Ball FighterZ World Tour, a Master event for the Tekken World Tour and a Premier event for the Injustice 2 Pro Series. Besides these games, the event will also be hosting Super Smash Bros. 4, Super Smash Bros. Melee, Guilty Gear Xrd REV 2, Under Night In-Birth EXE: Late[st], Super Street Fighter 2: Turbo, Marvel vs. Capcom: Infinite, Street Fighter 3: 3rd Strike, Killer Instinct, King of Fighters 14 and Capcom vs. SNK 2. On top of this, the upcoming Super Smash Bros. Ultimate will be playable at the event, so there's likely to be ample gameplay from that extremely hyped game, and there will also be exhibition events for the upcoming Soul Calibur 6 and the recently released Fighting EX Layer. Streaming is being done at Capcom Fighters, Dragon Ball FighterZ, Tekken, CEO Gaming, Team Spooky, VG Boot Camp, NetherRealm, Data FGC, Polarity GG and Villain904. • Grand finals, second set: FD|Fujimura (Ibuki) eliminated DouyuTV|Xiao Hai (Cammy) 3-0. • Grand finals, first set: FD|Fujimura (Ibuki) beat DouyuTV|Xiao Hai (Cammy) 3-1. • Losers finals: FD|Fujimura (Ibuki) eliminated NVD|Phenom (Necalli) 3-1. • Losers semi-finals: NVD|Phenom (Necalli) eliminated FAV|Sako (Menat) 3-2. • Winners finals: DouyuTV|Xiao Hai (Cammy) beat FD|Fujimura (Ibuki) 3-2. • FAV|Sako (Menat) eliminated RZR|Xian (Ibuki) 3-2. • NVD|Phenom (Necalli) eliminated PG|Infiltration (Menat) 3-0. • RZR|Xian (Ibuki) eliminated NuckleDu (Guile) 3-2. • PG|Infiltration (Chun-Li) eliminated Fursan|Verloren (Cammy) 3-2. • Winners semi-finals: DouyuTV|Xiao Hai (Cammy) beat NVD|Phenom (Necalli) 3-2. • Winners semi-finals: FD|Fujimura (Ibuki) beat FAV|Sako (Menat) 3-0. • PG|Infiltration (Menat) eliminated WBG|CJ Truth (Cammy) 2-0. • RZR|Xian (Ibuki) eliminated Rise|Caba (Guile) 2-0. • NuckleDu (Guile) eliminated CYG|Fuudo (R. Mika) 2-1. • WBG|CJ Truth (Cammy) eliminated GGP|Kazunoko (Cammy) 2-0. • RZR|Xian (Ibuki) eliminated UYU|NL (Cammy) 2-1. • NuckleDu (Guile) eliminated UYU|OilKing (Rashid) 2-1. • CYG|Daigo (Guile) eliminated AB|Poongko (Abigail) 2-0. • NVD|Phenom (Necalli) beat Rise|Caba (Guile) 2-1. • DouyuTV|Xiao Hai (Cammy) beat CYG|Fuudo (R. Mika) 2-0. • FD|Fujimura (Ibuki) beat Fursan|Verloren (Cammy) 2-0. • FAV|Sako (Menat) beat PG|Infiltration (Juri) 2-0. • GGP|Kazunoko (Cammy) eliminated DNG|Itabashi Zangief (Abigail) 2-1. • NuckleDu (Guile) eliminated Rise|MenaRD (Akuma) 2-1. • UYU|OilKing (Rashid) eliminated Rise|Smug (Balrog) 2-0. • RZR|Xian (Ibuki) eliminated Mouz|Problem X (Abigail) 2-0. • UYU|NL (Cammy) eliminated RB|Bonchan (Karin) 2-1. • AB|Poongko (Abigail) eliminated FNATIC|Akainu (Guile) 2-0. • CYG|Daigo (Guile) eliminated OG|Shine (Ibuki) 2-0. • WBG|CJ Truth (Cammy) eliminated FOX|Tokido (Akuma) 2-0. • FOX|Tokido (Akuma) eliminated Mago (Cammy). • GGP|Kazunoko (Cammy) eliminated Bbyongbbyong (Birdie). • Bbyongbbyong (Birdie) eliminated CYG|GamerBee (Cammy) 2-0. • FOX|Tokido (Akuma) eliminated Gachikun (Rashid). • Bbyongbbyong (Birdie) eliminated CO|Go1 (Menat). • NVD|Phenom (Necalli) beat CYG|Daigo (Guile) 2-1. • Rise|MenaRD (Birdie) eliminated FOX|Punk (Karin). • Fursan|Verloren (Cammy) beat RB|Bonchan (Karin) 2-0. • FD|Fujimura (Ibuki) beat Mouz|Problem X (Abigail) 2-1. • Rise|Caba (Guile) beat AB|Poongko (Kolin) 2-0. • Rise|Smug (Balrog) eliminated CYG|Chris Tatarian (Ken). • GGP|Kazunoko (Cammy) eliminated RB|Luffy (R. Mika). • FD|Fujimura (Ibuki) beat Mago (Cammy) 2-1. • RB|Luffy (R. Mika) eliminated GRPT|MOV (Chun-Li). • OG|Shine (Ibuki) eliminated Kindevu (Blanka). • FNATIC|Akainu (Guile) eliminated FE|Humanbomb (Chun-Li). • OG|Shine (Ibuki) eliminated Ponos|Moke (Cammy). • RB|Bonchan (Karin) beat CYG|GamerBee (Cammy) 2-1. • CYG|Daigo (Guile) beat FOX|Punk (Karin) 2-1. • AB|Poongko (Abigail) beat Wolfgang (Blanka) 2-0. • FAV|Sako (Menat) beat NuckleDu (Cammy) 2-1. • DouyuTV|Xiao Hai (Cammy) beat WBG|CJ Truth (Cammy) 2-0. • FNATIC|Akainu (Guile) eliminated FD|Haitani (Akuma). • Ponos|Moke (Cammy) eliminated THG|Ludovic (Menat). • PG|Infiltration (Juri) beat UYU|OilKing (Rashid) 2-0. • CYG|Fuudo (R. Mika) beat DNG|Itabashi Zangief (Abigail) 2-0. • NuckleDu (Cammy) beat OG|Shine (Ibuki) 2-0. • DNG|Itabashi Zangief (Abigail) beat UYU|NL (Cammy). • FAV|Sako (Menat) beat Kindevu (Blanka) 2-0. • CYG|Fuudo (R. Mika) beat Commander Jesse (Dhalsim) 2-0. • THG|Ludovic (Menat) eliminated Liquid|Nemo (Urien). • PG|Infiltration (Juri) beat Liquid|John Takeuchi (Rashid) 2-0. • K-Brad (Cammy) eliminated CO|Dogura (Urien) 2-0. • Mouz|Problem X (M. Bison) beat GW|Eita (Ken) 2-0. • Fursan|Verloren (Cammy) beat FD|Johnny (Karin) 2-0. • Wolfgang (Blanka) beat Circa|Wolfkrone (Zeku) 2-1. • FD|Fujimura (Ibuki) beat iG|Jiewa (Akuma) 2-0. • Circa|Wolfkrone (Zeku) beat K-Brad (Cammy) 2-1. • Wolfgang (Blanka) beat CO|Dogura (Urien). • AB|Poongko (Abigail) beat RB|Luffy (R. Mika) 2-0. • RB|Bonchan (Nash) beat Kusanagi (Sakura) 2-0. • FD|Haitani (Akuma) beat FNATIC|Shakz (Laura) 2-0. • Gachikun (Rashid) beat TS|Arturo Sanchez (Dhalsim) 2-1. • Kusanagi (Sakura) beat Neon (Kolin) 2-0. • CYG|Chris Tatarian (Ken) beat CO|Go1 (Menat, Chun-Li) 2-0. • CYG|Daigo (Guile) beat Kreymore (Menat) 2-0. • Mago (Cammy) beat Rise|MenaRD (Birdie, Akuma) 2-0. • Rise|Caba (Guile) beat Tempo|Alex Myers (Cammy) 2-0. • UYU|NL (Cammy) beat SB|DoomSnake (Vega). • GGP|Kazunoko (Cammy) beat RB|Snake Eyez (Abigail, Akuma) 2-0. • Epsilon|Takamura (Akuma) beat FOX|Tokido (Akuma) 2-0. • DNG|Itabashi Zangief (Abigail) beat FNATIC|Akainu (Guile) 2-0. • WBG|CJ Truth (Cammy) beat Liquid|Nemo (Urien) 2-1. • FAV|Sako (Menat) beat NVD|SaltyKid (R. Mika) 2-1. • DouyuTV|Xiao Hai (Cammy) beat FOX|Momochi (Kolin) 2-1. • Liquid|John Takeuchi (Rashid) beat Mo-Joe (R. Mika) 2-1. • RZR|Xian (Ibuki) beat NVD|Momi (Cammy) 2-0. • AB|StormKubo (Abigail) eliminated PrincessSlim (F.A.N.G). • OG|Shine (Ibuki) beat NB|ZachInABox (Kolin) 2-0. • NB|ZachInABox (Kolin) beat PrincessSlim (F.A.N.G). • PrincessSlim (F.A.N.G) beat AB|StormKubo (Abigail) 2-1. • Grand finals, second set: GGP|Kazunoko (Kid Buu, Adult Gohan, Yamcha) eliminated CO|Go1 (Cell, Bardock, Vegeta) 3-1. • Grand finals, first set: GGP|Kazunoko (Kid Buu, Adult Gohan, Yamcha) beat CO|Go1 (Cell, Bardock, Vegeta) 3-1. • Losers finals: GGP|Kazunoko (Kid Buu, Adult Gohan, Yamcha) eliminated CO|Fenrich (Cell, Bardock, Vegeta) 3-0. • Losers semi-finals: GGP|Kazunoko (Kid Buu, Adult Gohan, Yamcha) eliminated CO|Dogura (Kid Buu, Cell, Goku) 2-0. • Winners finals: CO|Go1 (Cell, Bardock, Vegeta) beat CO|Fenrich (Cell, Bardock, Vegeta) 3-0. • CO|Dogura (Kid Buu, Cell, Goku) eliminated NRG|HookGangGod (Cell, Piccolo, Vegeta) 2-0. • GGP|Kazunoko (Kid Buu, Adult Gohan, Yamcha) eliminated FOX|SonicFox (Cell, Kid Buu, Gotenks) 2-0. • CO|Dogura (Kid Buu, Cell, Goku) eliminated FOX|Dekillsage (Gotenks, Adult Gohaan, Android 16) 2-0. • GGP|Kazunoko (Kid Buu, Adult Gohan, Yamcha) eliminated BC|ApologyMan (Piccolo, Tien, Goku) 2-0. • Winners semi-finals: CO|Fenrich (Cell, Bardock, Vegeta) beat FOX|SonicFox (Cell, Kid Buu, Gotenks) 2-0. • Winners semi-finals: CO|Go1 (Cell, Bardock, Vegeta) beat NRG|HookGangGod (Cell, Piccolo, Vegeta) 2-0. • BC|ApologyMan (Piccolo, Tien, Goku) eliminated NRG|Supernoon (Kid Buu, Cell, Vegeta) 2-1. • GGP|Kazunoko (Kid Buu, Adult Gohan, Yamcha) eliminated BeyondToxin (Cell, Android 18, Goku Black) 2-1. • FOX|Dekillsage (Adult Gohan, Gotenks, Android 16) eliminated Ponos|Moke (Kid Buu, Cell, Trunks) 2-0. • CO|Dogura (Kid Buu, Cell, Goku) eliminated TSM|Leffen (Android 21, Cell, Vegeta) 2-0. • NRG|Supernoon (Kid Buu, Cell, Vegeta) eliminated R-Cade|Alioune (Android 21, Majin Buu, Vegeta) 2-1. • TSM|Leffen (Android 21, Cell, Vegeta) eliminated PAG|Fame96 (Vegito, Blue Vegeta, Cell). 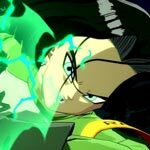 • FOX|Dekillsage (Adult Gohan, Gotenks, Android 16) eliminated UYU|Cloud805 (Adult Gohan, Cell, Kid Buu). • BeyondToxin (Cell, Android 18, Goku Black) eliminated Crescent|Doza (Blue Goku, Goku Black, Goku). • FOX|SonicFox (Android 18, Cell, Kid Buu) beat Ponos|Moke (Kid Buu, Cell, Trunks) 2-0. • CO|Fenrich (Cell, Bardock, Vegeta) beat CO|Dogura (Kid Buu, Cell, Goku) 2-1. • NRG|HookGangGod (Cell, Piccolo, Vegeta) beat BC|ApologyMan (Piccolo, Tien, Goku) 2-1. • CO|Go1 (Bardock, Cell, Vegeta) beat GGP|Kazunoko (Kid Buu, Adult Gohan, Yamcha) 2-1. • TSM|Leffen (Android 21, Cell, Vegeta) eliminated PerfectLegend (Bardock, Cell, Vegeta). • PAG|Fame96 (Vegito, Blue Vegeta, Cell) eliminated FOX|Punk (Cell, Trunks, Vegeta). • UYU|Cloud805 (Adult Gohan, Cell, Kid Buu) eliminated WAY|AMiniAssassin. • FOX|Dekillsage (Adult Gohan, Gotenks, Android 16) eliminated nowKami (Android 21, Cell, Goku Black). • Crescent|Doza (Blue Goku, Goku Black, Goku) eliminated FOX|Momochi (Adult Gohan, Bardock, Goku). • BeyondToxin (Cell, Android 18, Goku Black) eliminated PG|Nakkiel (Cell, Kid Buu, Bardock). • NRG|Supernoon (Kid Buu, Cell, Vegeta) eliminated EG|NYChrisG (Bardock, Tien, Vegeta). • R-Cade|Alioune (Android 21, Majin Buu, Vegeta) eliminated GGWP|Souji (Kid Buu, Cell, Vegeta). • FOX|Momochi (Adult Gohan, Bardock, Goku) eliminated GOTE|Rival (Android 21, Cell, Goku) 2-0. • PAG|Fame96 (Vegito, Blue Vegeta, Cell) beat MikeAndIke (Kid Buu, Cell, Vegeta) 2-0. • BeyondToxin (Cell, Android 18, Goku Black) beat Randomfiend (Bardock, Cell, Goku Black) 2-1. • FOX|SonicFox (Android 18, Cell, Kid Buu) beat R-Cade|Alioune (Android 21, Majin Buu, Vegeta) 2-0. • BC|ApologyMan (Piccolo, Tien, Goku) beat FOX|Dekillsage (Adult Gohan, Gotenks, Android 16) 2-0. • NRG|HookGangKid (Cell, Piccolo, Vegeta) beat UYU|Cloud805 (Adult Gohan, Cell, Kid Buu) 2-0. • R-Cade|Alioune (Android 21, Majin Buu, Vegeta) beat Teemo (Kid Buu, Fused Zamasu, Cell) 2-0. • FOX|SonicFox (Android 18, Cell, Kid Buu) beat CLN|Yohosie (Gotenks, Kid Buu, Android 16) 2-0. • UYU|Cloud805 (Adult Gohan, Cell, Kid Buu) beat BeyondToxin (Cell, Android 18, Goku Black) 2-0. • NRG|Supernoon (Kid Buu, Cell, Vegeta) beat ScrawtVermillion (Adult Gohan, Blue Goku, Cell) 2-0. • KnowKami (Android 21, Cell, Goku Black) beat Sherm (Bardock, Cell, Vegeta) 2-0. • CO|Dogura (Kid Buu, Cell, Goku) beat PG|Nakkiel (Cell, Kid Buu, Bardock) 2-0. • GGP|Kazunoko (Kid Buu, Adult Gohan, Yamcha) beat FOX|Punk (Cell, Trunks, Vegeta) 2-0. • CO|Go1 (Cell, Bardock, Vegeta) beat TSM|Leffen (Android 21, Cell, Vegeta) 2-1. • PG|Nakkiel (Cell, Kid Buu, Bardock) beat PAG|LostSoul (Cell, Android 21, Android 16) 2-1. • CO|Fenrich (Cell, Bardock, Vegeta) beat EMP|RogueYoshi (Nappa, Gotenks, Kid Buu) 2-0. • TSM|Leffen (Android 21, Cell, Vegeta) beat GGWP|Souji (Kid Buu, Cell, Vegeta) 2-1. • CLN|Yohosie (Gotenks, Kid Buu, Android 16) beat DATA|JaazzRap (Cell, Bardock, Goku) 2-1. • Ponos|Moke (Kid Buu, Cell, Trunks) beat GOTE|Rival (Android 21, Cell, Goku) 2-0. • NRG|HookGangKid (Cell, Piccolo, Vegeta) beat Kindevu (Cell, Kid Buu, Bardock) 2-0. • Teemo (Kid Buu, Fused Zamasu, Cell) beat Caius (Cell, Kid Buu, Goku Black) 2-0. • BC|ApologyMan (Piccolo, Tien, Goku) beat LuisThePanda (Beerus, Cell, Goku Black) 2-0. • MikeAndIke (Kid Buu, Cell, Vegeta) beat FOX|Momochi (Adult Gohan, Bardock, Goku) 2-1. • BeyondToxin (Cell, Android 18, Goku Black) beat Mike J (Kid Buu, Bardock, Cell) 2-0. • FOX|Dekillsage (Adult Gohan, Gotenks, Android 16) beat DacidBro (Cell, Bardock, Gotenks) 2-0. • Randomfiend (Bardock, Cell, Goku Black) beat Yeshuasaves (Android 21, Blue Goku, Goku) 2-1. • Kef (Teen Gohan, Trunks, Vegeta) beat Juicy (Captain Ginyu, Kid Buu, Bardock) 2-0. • EG|NYChrisG (Bardock, Tien, Vegeta) beat Ceehil (Yamcha, Piccolo, Tien) 2-0. • FOX|SonicFox (Android 18, Cell, Kid Buu) beat Duffo (Bardock, Goku, Teen Gohan) 2-0. • GGP|Kazunoko (Kid Buu, Adult Gohan, Yamcha) beat ShinPaulo (Bardock, Goku Black, Android 16 | Bardock, Cell, Goku Black) 2-0. • UYU|Cloud805 (Adult Gohan, Cell, Kid Buu) beat PerfectLegend (Bardock, Cell, Vegeta) 2-0. • CO|Fenrich (Cell, Bardock, Vegeta) beat FSA|HeavyCura (Captain Ginyu, Yamcha, Vegeta) 2-1. • KaneBlueRiver (Bardock, Cell, Vegeta | Android 16, Goku Black, Vegeta) beat PAG|Fame96 (Vegito, Blue Vegeta, Cell) 2-1. • TSM|Leffen (Android 21, Cell, Vegeta) beat PG|RayRay (Cell, Goku Black, Kid Buu) 2-0. • MastaStef (Android 21, Kid Buu, Goku) beat 3G|SmoothBunz (Cell, Goku Black, Vegeta) 2-0. • Skeezermui (Trunks, Beerus, Tien) beat Egypt (Gotenks, Cell, Vegeta) 2-0. • FOX|Punk (Cell, Trunks, Vegeta) beat Zero E Lopez (Bardock, Android 21, Goku Black) 2-0. • R-Cade|Alioune (Android 21, Majin Buu, Vegeta) beat UYU|Brian_F (Cell, Android 16, Vegeta) 2-0. • Crescent|Doza (Blue Goku, Goku Black, Goku) beat Hotashi (Gotenks, Adult Gohan, Cell) 2-0. • GGWP|Souji (Kid Buu, Cell, Vegeta) beat Dadpool (Cell, Gotenks, Android 16) 2-0. • Sherm (Bardock, Cell, Vegeta) beat PZPoy (Adult Gohan, Android 21, Vegeta) 2-0. • NRG|Supernoon (Kid Buu, Cell, Vegeta) beat UA|Terry Bogard (Trunks, Tien, Goku Black) 2-0. • CO|Go1 (Bardock, Cell, Vegeta) beat UBN|Tsuntenshi (Bardock, Goku Black, Goku) 2-0. • PAG|LostSoul (Cell, Android 21, Android 16) beat BxA|Argenrost (Cell, Android 16, Vegeta) 2-0. • Grand finals, second set: UYU|Jeondding (Eddy) eliminated UYU|Qudans (Devil Jin) 3-2. • Grand finals, first set: UYU|Jeondding (Eddy) beat UYU|Qudans (Devil Jin) 3-0. • Losers finals: UYU|Jeondding (Eddy) eliminated FOX|JDCR (Dragunov) 3-2. • Losers semi-finals: UYU|Jeondding (Eddy) eliminated ITS|Lil Majin (King) 2-1. • Winners finals: UYU|Qudans (Devil Jin) beat FOX|JDCR (Dragunov) 3-0. • ITS|Lil Majin (King) eliminated EQNX|Dimeback (Asuka) 2-1. • UYU|Jeondding (Eddy) eliminated AR|Book (Jin) 2-0. • ITS|Lil Majin (King) eliminated Jimmy J Tran (Bryan) 2-1. • AR|Book (Jin) eliminated Binchang (Josie, Claudio) 2-0. • Winners semi-finals: FOX|JDCR (Dragunov) beat EQNX|Dimeback (Asuka) 2-0. • Winners semi-finals: UYU|Qudans (Devil Jin) beat UYU|Jeondding (Eddy) 2-1. • AR|Book (Jin) eliminated Kkokkoma (Josie, Devil Jin) 2-1. • ITS|Lil Majin (King) eliminated UYU|Princess Ling (Xiaoyu) 2-1. • Binchang (Josie) eliminated Circa|JoeyFury (JACK-7, Paul) 2-0. • Jimmy J Tran (Bryan) eliminated FOX|Saint (JACK-7) 2-0. • ITS|Lil Majin (King) eliminated Shadow20z (Claudio, Lee) 2-0. • Binchang (Kazumi) eliminated KoDee (Kazuya) 2-1. • AR|Book (Jin) eliminated NG Obscure (Alisa) 2-1. • FOX|Saint (JACK-7) eliminated RB|Anakin (JACK-7) 2-0. • FOX|JDCR (Dragunov) beat Kkokkoma (Geese) 2-1. • EQNX|Dimeback (Asuka) beat Circa|JoeyFury (Paul) 2-1. • UYU|Qudans (Devil Jin) beat Jimmy J Tran (Bryan) 2-0. • UYU|Jeondding (Eddy) beat UYU|Princess Ling (Xiaoyu) 2-1. • Grand finals, second set: FOX|MKLeo (Bayonetta, Marth) eliminated Tweek (Donkey Kong, Bayonetta) 3-1. • Grand finals, first set: Tweek (Donkey Kong) beat FOX|MKLeo (Lucina, Bayonetta) 3-0. • Losers finals: Tweek (Cloud) eliminated Cosmos (Corrin) 3-0. • Losers semi-finals: Tweek (Cloud) eliminated CaptainZack (Bayonetta) 3-0. • Winners finals: FOX|MKLeo (Cloud) beat Cosmos (Corrin) 3-0. • Tweek (Cloud) eliminated GRV|Dabuz (Sheik, Olimar) 3-0. • CaptainZack (Bayonetta) eliminated CND|Raito (Duck Hunt) 3-1. • Winners semi-finals: Cosmos (Corrin) beat GRV|Dabuz (Rosalina & Luma) 3-0. • Winners semi-finals: FOX|MKLeo (Lucina) beat CND|Raito (Duck Hunt) 3-2. • Tweek (Bayonetta) eliminated Falln (Rosalina & Luma) 3-1. • CaptainZack (Bayonetta) eliminated Abadango (Mewtwo) 3-1. • Tweek (Bayonetta) eliminated Vinnie (Sheik, Rosalina & Luma) 3-0. • Falln (Rosalina & Luma) eliminated Captain L (Pikachu) 3-0. • CaptainZack (Bayonetta) eliminated Liquid|Salem (Bayonetta) 3-0. • Abadango (Bayonetta, Mewtwo) eliminated Marss (Zero Suit Samus) 3-2. • CND|Raito (Duck Hunt) beat Captain L (Pikachu) 3-1. • FOX|MKLeo (Marth) beat Vinnie (Sheik) 3-0. • Cosmos (Corrin) beat Abadango (Mewtwo) 3-1. • GRV|Dabuz (Rosalina & Luma) beat Liquid|Salem (Bayonetta) 3-0. • Tweek (Bayonetta) eliminated Fatality (Captain Falcon) 3-1. • Falln (Rosalina & Luma) eliminated Elegant (Luigi) 3-2. • CaptainZack (Bayonetta) eliminated Rideae (Pikachu) 3-1. • Marss (Zero Suit Samus) eliminated Wrath (Sonic) 3-0. • Grand finals, second set: Zexus|Nuki (Chun-Li) eliminated Damdai (O. Ryu) 3-2. • Grand finals, first set: Damdai (O. Ryu) beat Zexus|Nuki (Chun-Li) 3-0. • Losers finals: Damdai (O. Ryu) eliminated AfroLegends (Dee Jay) 3-1. • Losers semi-finals: Damdai (O. Ryu) eliminated Zexus|NakanoSagat (Chun-Li) 3-0. • Winners finals: Zexus|Nuki (Chun-Li) beat AfroLegends (Dee Jay) 3-1. • Damdai (O. Ryu) eliminated Tomo (Ryu) 3-0. • Zexus|NakanoSagat (Chun-Li) eliminated IFM|TechnicalMonkey (Chun-Li) 3-2. • Tomo (Ryu) eliminated JoshC (Vega) 3-1. • Zexus|NakanoSagat (O. Sagat, Chun-Li) eliminated Zexus|Foosuke (Dee Jay) 3-1. • Winners semi-finals: Zexus|Nuki (Chun-Li) beat IFM|TechnicalMonkey (Chun-Li) 3-0. • Winners semi-finals: AfroLegends (Dee Jay) beat Damdai (O. Ryu) 3-0. • Grand finals, second set: Liquid|Hungrybox (Jigglypuff) eliminated PG|Plup (Sheik) 3-0. • Grand finals, first set: PG|Plup (Fox, Sheik) beat Liquid|Hungrybox (Jigglypuff) 3-2. • Losers finals: PG|Plup (Sheik) eliminated FOX|Mew2King (Sheik, Marth) 3-1. • Losers semi-finals: FOX|Mew2King (Sheik, Marth) eliminated Wizzrobe (Captain Falcon) 3-1. • Winners finals: Liquid|Hungrybox (Jigglypuff) beat PG|Plup (Fox) 3-1. • FOX|Mew2King (Marth) eliminated CLG|SFAT (Fox) 3-1. • Wizzrobe (Captain Falcon) eliminated PG|Zain (Marth) 3-2. • Winners semi-finals: Liquid|Hungrybox (Jigglypuff) beat FOX|Mew2King (Fox, Jigglypuff) 3-1. • Winners semi-finals: PG|Plup (Sheik) beat PG|Zain (Marth) 3-2. • Wizzrobe (Captain Falcon) eliminated ALG|n0ne (Captain Falcon) 3-1. • CLG|SFAT (Fox) eliminated VGz|lloD (Peach) 3-2. • Grand finals, second set: Noble|Semiij (Catwoman) eliminated Noble|Tweedy (Starfire) 3-1. • Grand finals, first set: Noble|Semiij (Catwoman) beat Noble|Tweedy (Starfire) 3-1. • Losers finals: Noble|Semiij (Catwoman) eliminated BC|Biohazard (Bane) 3-0. • Losers semi-finals: BC|Biohazard (Bane) eliminated F3|DR Gross (Black Adam) 3-1. • Winners finals: Noble|Tweedy (Starfire) beat Noble|Semiij (Catwoman) 3-1. • F3|DR Gross (Aquaman) eliminated ForeverKing (Batman) 3-0. • BC|Biohazard (Starfire, Bane) eliminated FOX|SonicFox (Michaelangelo) 3-1. • ForeverKing (Batman) eliminated NASR|TekkenMaster (Starfire) 3-1. • FOX|SonicFox (Michaelangelo) eliminated BC|HoneyBee (Starfire, The Flash) 3-0. • Winners semi-finals: Noble|Semiij (Catwoman) beat F3|DR Gross (Black Adam) 3-0. • Winners semi-finals: Noble|Tweedy (Doctor Fate) beat BC|Biohazard (Starfire, Black Manta) 3-0. • Grand finals, first set: GGP|Kazunoko (Raven) eliminated Kidviper (Johnny) 3-0. • Losers finals: KidViper (Johnny) eliminated BjornSonOfBear (Chipp) 3-0. • Losers semi-finals: BjornSonOfBear (Chipp) eliminated UYU|KizzieKay (Sin) 2-1. • Winners finals: GGP|Kazunoko (Raven) beat KidViper (Johnny) 3-1. • UYU|KizzieKay (Sin) eliminated Hotashi (Elphelt) 2-0. • BjornSonOfBear (Chipp) eliminated Mystic (Baiken) 2-1. • UYU|KizzieKay (Sin) eliminated Mr. K (Leo) 2-1. • Mystic (Baiken) eliminated KnowKami (Zato-1) 2-0. • Winners semi-finals: GGP|Kazunoko (Raven) beat Hotashi (Elphelt) 2-1. • Winners semi-finals: KidViper (Johnny) beat BjornSonOfBear (Chipp) 2-1. • Winners semi-finals: Hotashi (Elphelt) beat GGP|Kazunoko (Raven) 2-0. Note: It was discovered that this match was played on an old version of the game, and thus the result was deemed invalid and the match had to be replayed. • Grand finals: MnT|Thompxson (Jago) eliminated LetalisVenator (Aganos) 3-1. • Losers finals: LetalisVenator (General RAAM) eliminated NWO|ZTrainOver9000 (Maya, Shadow Jago) 3-0. • Losers semi-finals: LetalisVenator (Aganos) eliminated Circa|Nicky (Fulgore) 3-0. • Winners finals: MnT|Thompxson (Jago) beat NWO|ZTrainOver9000 (Maya) 3-1. • LetalisVenator (General RAAM) eliminated UA|Bass (Shadow Jago) 3-2. • Circa|Nicky (Fulgore) eliminated BC|FiyahLiger (Riptor) 3-1. • LetalisVenator (Aganos) eliminated TBS|Sickle (Kim Wu) 3-1. • BC|FiyahLiger (Riptor) eliminated SYN|Aphex (Rash) 3-2. • Winners semi-finals: NWO|ZTrainOver9000 (Maya) beat Circa|Nicky (Mira, Fulgore) 3-2. • Winners semi-finals: MnT|Thompxson (Jago) beat UA|Bass (Spinal, Mira) 3-0. • Grand finals, second set: Knives (Dormammu, Sigma) eliminated TLT|Tayson (Gamora, Ultron) 3-2. • Grand finals, first set: Knives (Dormammu, Sigma) beat TLT|Tayson (Gamora, Ultron) 3-2. • Losers finals: Knives (Dormammu, Sigma) eliminated NoelBHungry (Rocket Raccoon, Gamora) 3-1. • Losers semi-finals: Knives (Dormammu, Sigma) eliminated Unknown (Zero, Dante) 3-0. • Winners finals: TLT|Tayson (Gamora, Ultron) beat NoelBHungry (Rocket Raccoon, Gamora) 3-1. • Unknown (Zero, Dante) eliminated SOKP|NinjaNam (Dr. Strange, Nova) 3-2. • Knives (Dormammu, Sigma) eliminated EG|NYChrisG (Morrigan, Monster Hunter) 3-2. • Unknown (Zero, Dante) eliminated IHeartJustice (Winter Soldier, Captain America) 3-1. • Knives (Dormammu, Sigma) eliminated AsianDemon (Ultron, Thanos) 3-0. • Winners semi-finals: NoelBHungry (Rocket Raccoon, Gamora) beat EG|NYChrisG (Morrigan, Monster Hunter) 3-0. • Winners semi-finals: TLT|Tayson (Gamora, Ultron) beat SOKP|NinjaNam (Dr. Strange, Nova) 3-2. • Grand finals, second set: Clim (Phonon) eliminated SuperScience|GuillotineGorilla (Gordeau) 3-0. • Grand finals, first set: Clim (Phonon) beat SuperScience|GuillotineGorilla (Gordeau) 3-0. • Clim (Phonon) eliminated BxA|Argenrost (Waldstein) 3-0. • Losers semi-finals: Clim (Phonon) eliminated J3 (Linne) 2-0. • Winners finals: SuperScience|GuillotineGorilla (Gordeau) beat BxA|Argenrost (Waldstein) 3-0. • Clim (Merkava) eliminated SUCC|AyoItsDave (Merkava) 2-0. • J3 (Linne) eliminated SchoolBus (Wagner) 2-1. • SUCC|AyoItsDave (Merkava) eliminated ScrawtVermillion (Akatsuki) 2-0. • SchoolBus (Wagner) eliminated IThatGuy (Byakuya) 2-0. • Winners semi-finals: SuperScience|GuillotineGorilla (Gordeau) beat J3 (Phonon) 2-1. • Winners semi-finals: BxA|Argenrost (Waldstein) beat Clim (Merkava) 2-0. • Grand finals, first set: Bas (A-Groove: Blanka, Vega, M. Bison) eliminated SonicO (A-Groove: Vega, M. Bison, Blanka) 3-0. • Losers finals: SonicO (A-Groove: Vega, M. Bison, Blanka) eliminated Rugal B (K-Groove: Blanka, Cammy, Sagat) 3-1. • Losers semi-finals: SonicO (A-Groove: Vega, M. Bison, Blanka) eliminated PatTheFlip (K-Groove: Athena, Vega, Sagat | K-Groove: Nakoruru, Vega, Sagat) 2-0. • Winners finals: Bas (A-Groove: M. Bison, Vega, Blanka) beat Rugal B (C-Groove: Cammy, Blanka, Sagat) 3-0. • PatTheFlip (K-Groove: Athena, Vega, Sagat) eliminated KNR|InTehWeeds (A-Groove: Rolento, Iori, Eagle) 2-0. • SonicO (A-Groove: Vega, M. Bison, Blanka) eliminated CTUIR|Umthrfkr (C-Groove: E. Honda, Sagat, Blanka) 2-0. • PatTheFlip (K-Groove: Athena, Vega, Sagat) eliminated ChrisRedfield (A-Groove: Sakura, M. Biosn, Ken) 2-0. • SonicO (A-Groove: Vega, M. Bison, Blanka) eliminated RSC|Cakes (K-Groove: Mai, Ryu, Sagat) 2-0. • Winners semi-finals: Rugal B (K-Groove: Rock, Cammy, Sagat) beat KNR|InTehWeeds (A-Groove: Iori, Rolento, Eagle) 2-1. • Grand finals, first set: Zexus|Nuki (Chun-Li) eliminated EG|NYChrisG (Ken, Sean) 3-1. • Losers finals: EG|NYChrisG (Ibuki, Chun-Li) eliminated Gootecks (Urien) 3-2. • Losers semi-finals: Gootecks (Urien) eliminated Cookye (Elena) 2-0. • Winners finals: Zexus|Nuki (Chun-Li) beat EG|NYChrisG (Yang) 3-0. • Cookye (Elena) eliminated RVRSL|Bacardi (Urien, Yun) 2-0. • Gootecks (Urien) eliminated CommonSense (Dudley) 2-0. • RVRSL|Bacardi (Urien) eliminated Tommy2Step (Chun-Li, Elena) 2-0. • CommonSense (Dudley) eliminated KenInBlack (Dudley) 2-0. • Winners semi-finals: Zexus|Nuki (Chun-Li) beat Gootecks (Urien) 2-0. • Winners semi-finals: EG|NYChrisG (Yang) beat Cookye (Elena) 2-0. • Grand finals, second set: DouyuTV|Xiao Hai (Heidern, Kula, Iori) eliminated VegasKOF|Wero Asamiya (Najd, Iori, Yuri | Athena, Iori, Yuri) 3-1. • Grand finals, first set: DouyuTV|Xiao Hai (Heidern, Kula, Iori) beat VegasKOF|Wero Asamiya (Najd, Iori, Yuri) 3-0. • Losers finals: Carlos C (Clark, Benimaru, Ryo) eliminated DouyuTV|Xiao Hai (Heidern, Kula, Iori) 3-0. • Losers semi-finals: Carlos C (Heidern, Clark, Ryo) eliminated TxC|Vicio (Mature, King, Leona | Mature, Leona, Chang) 2-0. 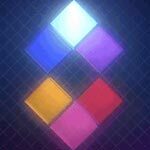 • Winners finals: VegasKOF|Wero Asamiya (Najd, Iori, Yuri) beat DouyuTV|Xiao Hai (Kula, Heidern, Iori) 3-1. • Carlos C (Kim, Clark, Ryo | Heidern, Clark, Ryo) eliminated KPB|JDR (Kyo, Ralf, Terry) 2-1. • KPB|JDR (Kyo, Ralf, Terry) eliminated PAG|VicViper (Mian, Hein, Verse) 2-0. • TxC|Vicio (Mature, King, Leona) eliminated DATA|JonRaptor (Alice, King of Dinosaurs, Terry) 2-0. • TxC|Vicio (Mature, King, Leona) eliminated OZ (Najd, Heidern, Iori) 2-0. • Winners semi-finals: DouyuTV|Xiao Hai (Benimaru, Heidern, Iori) beat DATA|JonRaptor (Alice, King of Dinosaurs, Terry) 2-0. • Winners semi-finals: VegasKOF|Wero Asamiya (Najd, Iori, Yuri) beat Carlos C (Clark, Heidern, Iori) 2-1. • Grand finals, second set: PAG|Fame96 (Yu, Jin) eliminated KidViper (Blake, Hyde) 3-1. • Grand finals, first set: PAG|Fame96 (Yu, Jin) beat KidViper (Blake, Hyde) 3-2. • Losers finals: PAG|Fame96 (Yu, Jin) eliminated TheArm (Orie, Hazama) 3-0. • Losers semi-finals: TheArm (Orie, Hazama) eliminated Method|Flux (Blake, Jin) 3-0. • Winners finals: KidViper (Blake, Hyde) beat PAG|Fame96 (Yu, Jin) 3-2. • TheArm (Hyde, Orie) eliminated FOX|Punk (Yu, Jin) 3-1. • Method|Flux (Blake, Jin) eliminated GoTE|Mlorenzo (Ruby, Yu) 3-1. • Winners semi-finals: KidViper (Blake, Hyde) beat FOX|Punk (Yu, Jin) 3-1. • CO|Fenrich was disqualified, leading to GoTE|Mlorenzo advancing. • TheArm (Hyde, Orie) eliminated Manny (Orie, Hazama) 3-2. • Winners semi-finals: PAG|Fame96 (Yu, Jin) beat Method|Flux (Blake, Jin) 3-2. • Grand finals, first set: SuperScience|GuillotineGorilla (Allen) eliminated Cookye (Shirase) 3-0. • Losers finals: Cookye (Shirase) eliminated PAG|Virgo (Allen) 3-0. • Losers semi-finals: PAG|Virgo (Allen) eliminated BxA|Argenrost (Jack, Allen) 3-2. • Winners finals: SuperScience|GuillotineGorilla (Allen) beat Cookye (Shirase) 3-0. Contributions to this story have been made by Zekayasd and NoctisOnyx.